Stay tuned next week to learn how this was made! The Cosplay Armory was the name I decided just through elegant simplicity. We intended to build props, primarily weapons so the name armory just seemed to fit best. Not the most original name but it works. 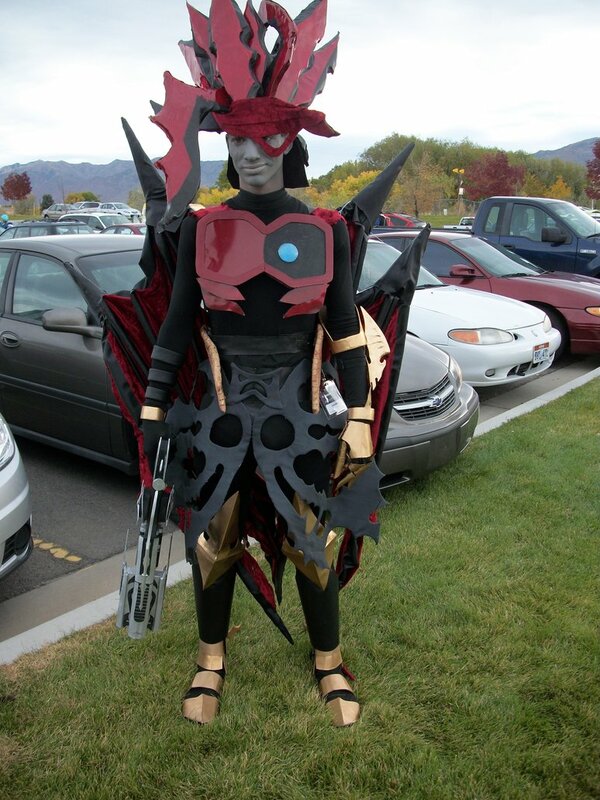 I first started cosplaying back in 2007. 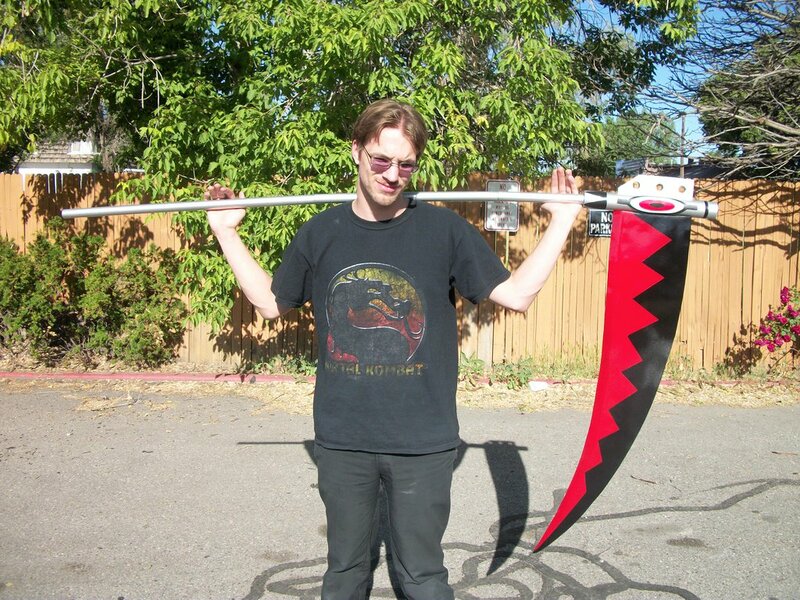 I was going to my first anime convention with a group of my friends in Nebraska. I knew nothing about how to make props, armor, anything like that so my first cosplay was entirely bought. However, I enjoyed the experience so much that I wanted to do it more and thus have continued to since. The blades are two 3mm Sintra pieces that have been glued together. The flats of the blades are also covered in thin Styrene plastic as well. 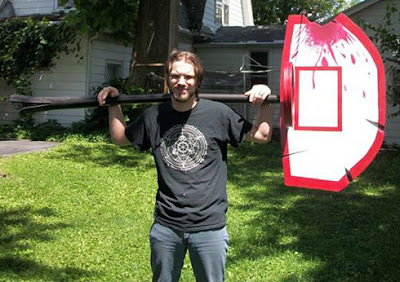 What drew you to prop making? My second cosplay was Light Yagami from Death Note. I bought pieces from Thrift Stores that looked like his normal attire. When searching for a Death Note online to purchase to use for the cosplay, I found I didn't particularly like them so I built my own using construction paper and a composition notebook. That was the first prop that I built. But I didn't fall in love with it until 2010. 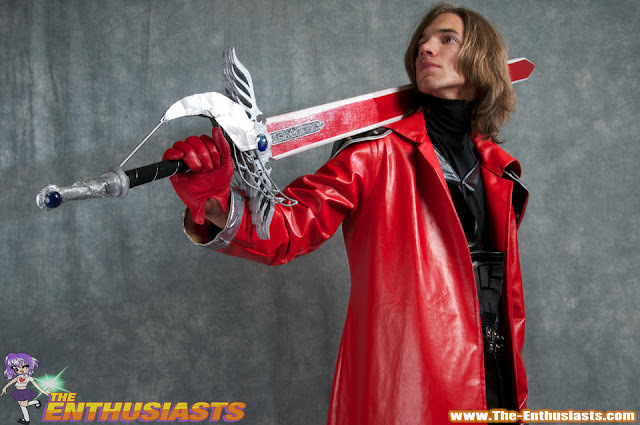 I wanted to cosplay as Genesis Rhapsodos from Final Fantasy VII: Crisis Core. 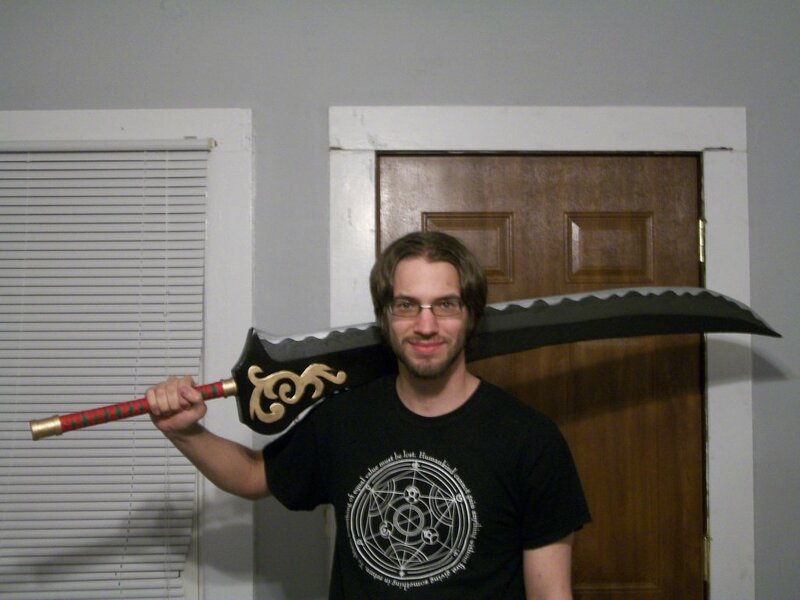 The weapon he carried was a massive sword 5'8" in length. There were no versions to buy so I chose to build it. My brother and I had no idea what we were getting into or any idea what it was we were doing. 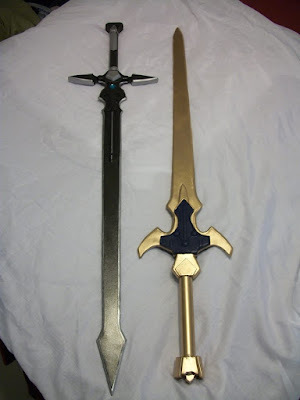 However, through hard work, inspiration, and motivation in a month we built the sword. I enjoyed building it so much and realized I had an apparent knack for creating things and the ideas of starting a business started growing. foam and lined with felt. Tell me about the starting your own business. What has been difficult and what are the best parts? When the business was started my wife was unemployed and I was working two part time jobs and we still weren't making ends meet. We made props to help fill in the income gap and poured our hearts and souls into the business. The most difficult part has been making sure that we have had the funds for materials and shipping costs when needed since the money from the orders tends to go straight to paying for everything else. The best part has been the challenge of making so many things that were never meant to exist and making them real. The business has forced me to think outside the box and improvise to figure out how to build props that I would likely have never tried otherwise. being more EVA foam. It is light yet durable. What was the most difficult part of building your skills over the years? I think the most difficult part has been learning to experiment with new materials. Trying to develop new and better methods that sort of thing, and then learning the different tolerances of said materials. What tools work best on them. How best to paint them that sort of thing. In that respect it is an ever continuing challenge. How about working in limited spaces? What kind of advice would you have for dealing with that? When we first started building props for the business back in 2013 we were in a small one bedroom apartment. It thankfully had a spacious enough living room/dining room that we could actually work. But it only allowed for basic tools. Back then, my only powered tools of any kind were my dremel, wood burner, hot glue gun and heat gun. My best advice for operating in small spaces is try to make sure that you contain your mess as best you can find a way to collect dust if you're sanding, or do it outside. Balconies are great for that sort of thing. The best advice I can give is just use the space to the best of your abilities while doing as little damage to it as possible. Especially if you don't own the property. EVA foam armor and Sintra/Styrene props. 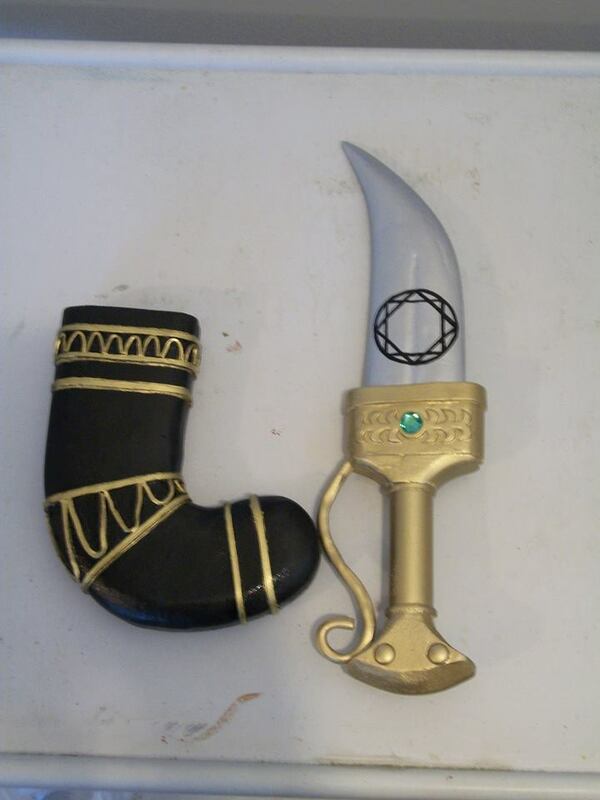 Which prop was your favorite prop to build and why? 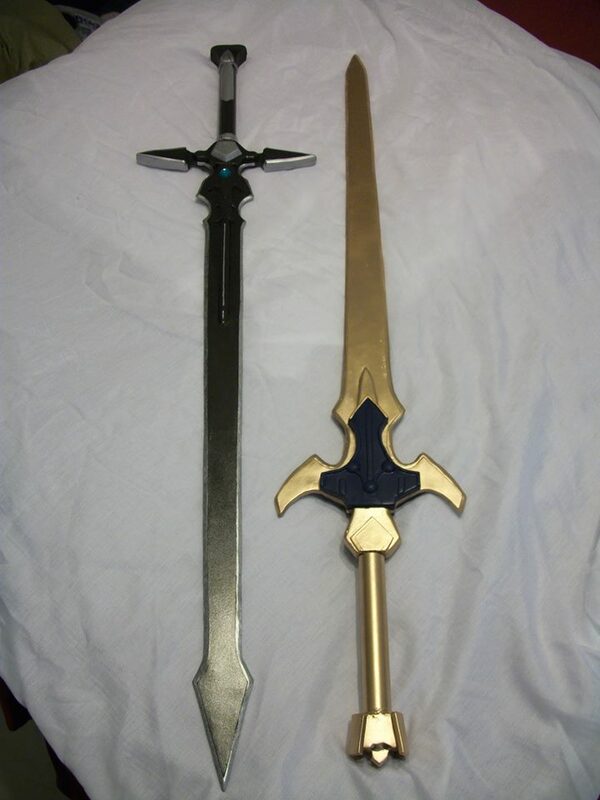 Despite all of the props that I have built, I still think that my favorite one is the sword that I built for my Genesis Rhapsodos cosplay. It was my first real step into prop making and I got to enjoy the experience with my older brother who I had lost connection with because of various choices that he had made in his life. Not only was it a huge challenge just figuring out how to build it but it was so memorable being able to connect with my brother again. How has your family responded to your work? My wife has supported the business since the beginning she has been an integral part of it since for medical reasons she cannot hold a regular job. My brother now finds it as more of a cool hobby/occasional health hazard since we now live in a duplex and he is next door and fumes and the like can travel from time to time. My parents are mostly supportive they acknowledge it gives me some income though they probably think it's not the best use of my talents. My other relatives either find it extremely neat that I build props or don't understand it. Tell me about your favorite cosplay builds and the challenges you overcame to make them. Given that I've only really built two, the rest were either bought or modified from regular clothes. I guess I only have two to talk about. Chaos from Final Fantasy VII: Dirge of Cerberus was by far the most challenging since I had no idea what I was doing. Chaos took 5 long months of off and on work with the help of many friends to accomplish and the whole thing was a challenge from building the wings which were life-sized and designed to open(they never worked) to figuring out the harness to support the wings which weighed 20 pounds when they were all done and they were not properly supported with the harness(my back hurts just thinking about it) Anyways, no part of that build was a walk in the park and was all just figured out as we went. Not the way that I like to build things anymore. I like to have a clear plan in my head of at least where to begin nowadays. My other project was Judge Magister Gabranth, which though still incomplete turned out pretty awesome. 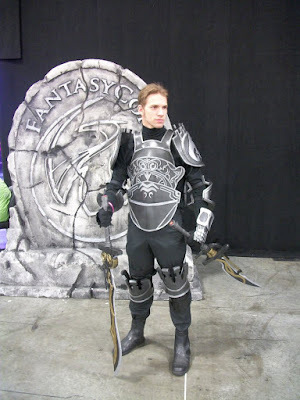 Gabranth was unique because he was my first full armor project, and my first time working with EVA foam. The challenges with Gabranth was just figuring out the sizing for all of the pieces and how to attach them. Design wise, compared to Chaos, Gabranth wasn't that hard and only took me about two months or so to make what I made. I think the last thing I want to ask is this. What has been the best advice given to you for prop making? I have two: The first is do not let yourself get discouraged by screw-ups or complete failure. There will always be times that things do not go the way that you want them to go and you cannot let yourself give up because of them. Try again, or try a different approach, but never give up. The second is to always experiment with new methods and techniques on something other than the actual piece that you are working on.